A recent blog post on JanusThinking.com looked at the seeming imperviousness of the Chinese luxury goods market to the economic slowdown. The Financial Times reports that the luxury car market is travelling in the same direction, with cars speeding out of showrooms despite challenging fiscal times. Carmakers’ robust financial results seem to demonstrate that it is the emerging markets’ taste for luxury vehicles that are driving this trend. Bentley saw 37% sales growth last year, with BMW, Mercedes-Benz, Audi and Porsche also firmly in the driving seat when it came to sales outside the Eurozone. Europe, however, is not seeing the same level of demand. Austerity measures, taxes on high-income earners and a firm crackdown on tax evasion mean slowing sales in the sector. The blog claims that in Italy, tax evaders are reportedly returning luxury cars such as Ferraris to avoid the unwelcome attentions of tax officials – it relates one anecdote of a wealthy driver in Milan keeping his tax returns in his car to prove to suspicious police that he’s paid the necessary dues. The slump in luxury sales adds pressure to the Italian automotive market as the economy continues to slow down. But whether popular in Italy or not, it’s clear that luxury cars like Ferraris remain firmly in fashion in emerging markets. 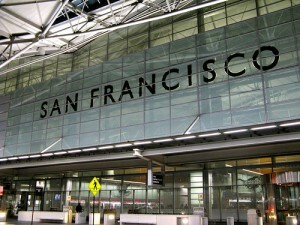 Is Silicon Valley proof of a luxury rebound in the U.S.? If the statistics found in a Wall Street Journal article published yesterday are to be believed, then Silicon Valley in California may be the signal we’ve been looking for of a return to norms in the American luxe market. According to the article, there has been a recent spike in the number of luxury and higher-end vehicles sold in the region. Over the course of 2009, Silicon Valley’s sales of the priciest car brands rose, according to R.L. Polk & Co., which analyzes the auto industry. In November, for instance, 15 Lamborghinis, Bentleys and Maseratis were newly registered in the Bay Area, up from four in January 2009, notes Polk. While not a bell-weather event, it is encouraging to see American luxe figures doing something other than nosedive. [S]ales of luxury brands improved in the second half of 2009 with his dealership—which handles Lamborghinis, Bentleys and others—particularly experiencing an increase in Bentley sales. Most of the car brands at BMCD start at $180,000 per vehicle. What could this be attributed to? It’s possible that the region’s Theta personalities are regaining some confidence in the market and are feeling more comfortable spending larger sums of money, as the economy continues to slowly improve. I expect that more recent figures will show that the market has continued to improve alongside the economy, which bodes well for the luxe industry across the country and even globally. The race for the hearts and minds of China’s luxe car buyers is on, as Aston Martin joins BMW and Audi in upping production and overall presence in China. The China Daily reports that Aston Martin opened its flagship China showroom in Beijing this past week. The store, located at 66 Jinbao Street, Chaoyang District, is more than twice as big as Beijing’s other two Aston Martin stores and is the largest in Asia Pacific. The 500 sq m showroom will display seven of the luxury vehicles each costing roughly 1.3 million yuan. Given that Aston Martins are typically more expensive than BMW, Mercedes or Audi vehicles, this move suggests that the demand is outstripping supply. This points to a new opening in the market for the super-rich. While the entire article is interesting, because it further illustrates the growth in luxury goods and demand in Asia, there’s one quote in particular that is quite revealing of the way luxe brands are thinking about China. The phrasing is interesting, too. The “authenticity of a product” suggests a targeting of the Lambda personalities, who prefer both high quality and an air of exclusivity to their purchases. 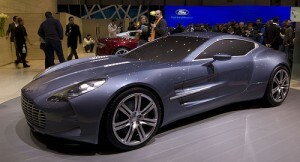 Another statistic worth noting is that about 80 Aston Martin vehicles were sold in China last year. Even upping that number to 100 would allow Aston Martin to retain its shine of exclusivity. 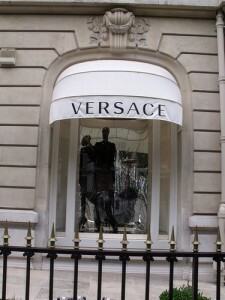 The global recession has caused many luxury brands to re-think the way they do business and cater to affluent clients. Across Asia brands are decamping from once-profitable markets such as Japan and turning their attention to emerging luxury markets. For example, Japan, once seen as a luxury hub of Asia, has seen Gianni Versace SpA announce plans to close its Japanese stores, pull back from the market and re-think their strategy in the face of declining demand. Meanwhile China has seen its standing as a luxury hub in Asia increase. Bloomberg reports that in China luxury-home sales almost tripled in September from a month earlier. The luxury car market in China is also doing well. Reuters reported earlier this year that Mercedes-Benz saw a 52 per cent increase in sales in June from a year earlier. Luxury brands are also beginning to focus on non-traditional markets. In Mongolia, luxury brands Louis Vuitton and Ermenegildo Zegna will open shops in the capital’s main Sukhbaatar Square. According to the New York Times, Mongolia has a per capita gross domestic product of about $1,800 in 2008. Because of that, the luxury market is extremely niche. Brands are betting that niche will want to spend money on luxury items. When Mercedes-Benz and McLaren launched the SLR Coupe in 2005 they sought to set new benchmarks in motoring by incorporating Formula 1 racing performance in a Mercedes road car. Technology that was previously the exclusive preserve of a professional motor racing class and restricted to the racetrack was now available to normal (albeit extremely wealthy) consumers. The Coupe has now been joined by a GT Roadster, which uses an AMG V8 engine to achieve 617 horsepower and 575 pound-feet of torque, resulting in a 3.8 second 0-60 and a top speed of 206 mph. US models rest on 19-inch turbine-style nine-spoke alloy wheels, and the engines even come signed by the engineer who hand-made them. With supply strictly limited and even the base model costing $495,000 the GT Roadster is a luxurious toy attainable only to a seriously wealthy and patient clientele. However while the Roadster’s race-track performance may receiving positive reviews, it remains to be seen whether this translates to the less suitable environment of public roads, where the 206 mph top speed may be a luxury unobtainable even to those prepared to spend half a million dollars. Businessman Bernie Ecclestone apparently has too many classic cars for his liking. Last week the Guardian reported how the President and CEO of Formula One held “the billionaire’s version of a spring clean” by selling off 50 cars in his private collection, many of which he has never driven. The highlight of the show was Ecclestone’s 1937 Mercedes Benz 540K Spezial Roadster, which sold for £3.85 million ($8 million). We have more money than we know what to do with, so we thought we’d come here. And we wanted to see what greed looks like. The full takings of the sale have not been released, but not all the cars went for millions or hundreds of thousands of pounds–a 1964 Ford Anglia Deluxe Saloon went for £5,588. Could I just say nice to read a help to discover someone who definitely knows just what they may be talking about on the internet. You actually find out how to bring a difficulty to light and allow it to essential. More people should learn this particular and comprehend this particular section of the story. I can’t believe you’re not more popular as you certainly have the gift. 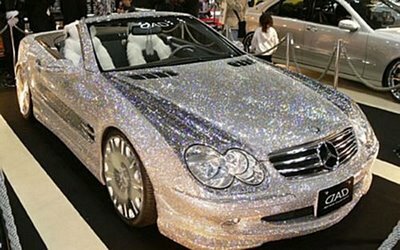 One: what goes perfectly with your diamond-encrusted Mercedes-Benz SL Roadster? Why, a diamond-studded gearshift knob of course! I’m not sure where this is from or who the target audience is, though I don’t think the producer/seller is trying to go extraordinarily upscale when he or she writes ‘For all you ballers out there… “What’s your braggin’ right?? ?”‘ on the display placard. 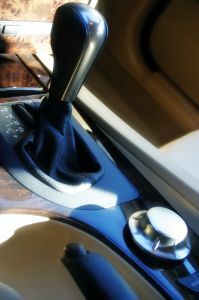 The shifter features 30 carats of ‘genuine’ diamonds and 10 ounces of 18-carat white gold. I’d be interested to see how high (or rather low) the quality of the diamonds is. And two: following up on another luxury peculiarity we’ve been following: this week another luxury water was brought to my attention, perhaps the most expensive yet. Kona Nigari water, a desalinated water high in minerals from the deep seas off Hawaii, costs $16.75 per ounce. Granted, this is for a bottled water “concentrate” one is meant to add to regular water, so it costs a bit less in drinkable form–but $2144 for a gallon of concentrate seems a bit expensive to “make” a beverage that is available free nearly everywhere and isn’t supposed to have a strong flavor. The sea water in the concentrate is believed to be free from pollution and bring with it health benefits. Whether it’s worth it is of course up to those who choose to buy it, though recent news suggests that people are beginning to think more sensibly about the value of bottled water. Last month PepsiCo was forced (through pressure from environmental and political groups) to clearly state on each bottle of its Aquafina water that it’s only purified tap water. Does this mark the beginning of the end for luxury waters? Perhaps. Is a diamond-encrusted Mercedes a sign of progress, conspicuous consumption, or extraordinary gaudiness? This Mercedes-Benz SL550 apparently appeared at a Dubai Auto Show recently. It’s unclear whether the diamonds are real or fake, but in either case, the effect isn’t subtle. It’s the sort of car you wouldn’t find in J.K. Rowling’s garage. Rowling, the author of the Harry Potter series, lives what she calls a very “mundane” lifestyle despite having earned over a billion dollars in royalties and merchandise from the Harry Potter books and films. In this profile from last year, she explains ‘I’ve got a mental amount I can’t spend beyond. I limit myself to what I think I would be justified in spending on frivolity.’ Sensible indeed (though it should be noted she has a healthy travel budget). The reason she hasn’t entirely blinged out seems to be that she came into her wealth later in life. She also knows what it’s like to have nothing, living on 70 pounds a week state benefits for a period earlier in her career. Now she can likely afford the diamond-encrusted Mercedes, but she doesn’t want it. Luxury is knowing what you want and why you want it. Can’t believe I missed this. A diamond-encrusted Mercedes? Wow, that’s just crazy. Ah, then, the effect is complete. This car is more than just a car, it’s off-the-charts crazy. I would buy this if I had the cheese.